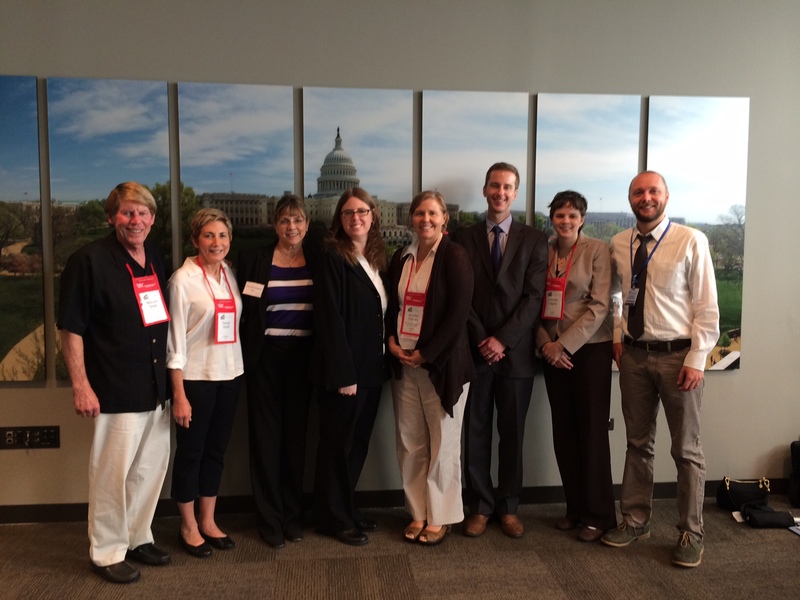 Last month, I traveled to Washington, D.C., to attend the Taking Action for Animals (TAFA) conference. Hosted by the Humane Society of the United States (HSUS), this conference brings together community leaders, professionals and locally oriented volunteers from around the country who are working to help animals in every regard. Most people I meet care deeply for animals because of a relationship with their own pets or through a broader empathy for all animals. And when animals are suffering, most of us suffer in our hearts (sometimes unknowingly) because of our natural love for animals and our aversion to cruelty. Hence, TAFA is meant to inform, inspire and empower us to be better advocates for animals. As a young adult, no issue disturbed me more than animal testing, and I had been indoctrinated to believe that it is necessary for the good of humankind. When I eventually learned about the treatment of animals in laboratories, I learned that much of the testing is actually unnecessary and fails to benefit humans. The project reports that our government wastes $12 billion per year on animal studies, such as forcing monkeys to smoke cigarettes or feeding them high-fat, sugary foods to create obesity. Yet, the dangers of smoking and obesity are well known and are more appropriately studied in humans who exhibit these behaviors. Luckily, we can make conscious choices not to support animal testing. Start by switching to cruelty-free household products and cosmetics. Visit www.leapingbunny.org to find a list of companies that do not test their products on animals. It was an eye-opening moment at TAFA to learn that the vast majority of animal cruelty around the world occurs in industrialized factory farms where most of our meat and eggs are produced. In factory farms, mother pigs are confined to gestation crates that are no larger than their bodies, laying hens are confined to battery cages with no more room than a piece of notebook paper, and baby calves, who are taken from their mothers in the dairy industry, are confined to tiny crates shortly after their birth and later killed for veal. Although billions (not millions) of animals in factory farms suffer cruelty, everyone in our community can make a huge difference to help animals by reducing our meat consumption. Consider trying Meatless Mondays, a global movement originally started in World War I to ration supplies that continues today to help people consciously reduce their consumption of meat. Amazingly, if all Americans participated in Meatless Monday, it would save 1.4 billion animals per year from factory farms. Visit www.meatlessmonday.com for recipes and ideas for sharing Meatless Mondays in our community. Another goal of TAFA was to amplify our efforts to protect animals from cruelty by talking with our senators and representatives in Washington state and in Washington, D.C. Following TAFA, I participated in Humane Lobby Day at our nation’s capital. Along with a delegation from Washington state, I attended meetings with legislative staff of Sens. Maria Cantwell and Patty Murray and Rep. Jim McDermott. Our delegation encouraged the senators to co-sponsor a bill to keep horse slaughterhouses from operating in the United States and to prevent the sale and transport of horses to be slaughtered for human consumption. The Safeguard American Food Exports (SAFE) Act (S. 541/H.R. 1094) is already cosponsored by McDermott. We also encouraged support of the Captive Primate Safety Act (S. 1463/H.R. 2856), which prevents monkeys, apes and nonhuman primates from being transported for exotic-pet sales. Sadly, primates in the exotic-pet industry are held captive for breeding, and their babies are taken from them and sold as pets. These wild animals pose considerable danger to humans as they grow into adults and can harbor transmittable diseases. Finally, our delegation asked for co-sponsorship of the Humane Cosmetics Act (H.R. 4148). Passing this bill would end the use of animals for testing cosmetics. If passed, the United States could join major world powers like the European Union and India, which have already banned the use of animals for cosmetics testing. This bill is currently only in the U.S. House of Representatives, so you can contact our senators to request they introduce this bill in the Senate. All of us inadvertently encounter animal cruelty in our everyday lives with just a trip to the supermarket or even paying our taxes, which funds animal testing. Although awareness of such issues is uncomfortable at first, we can take comfort that we have the power to really change the world for animals by the actions we take daily. Mahatma Gandhi said, “The greatness of a nation and its moral progress can be judged by the way its animals are treated,” which means we can be more proud to be Americans each day we make progress for animals.